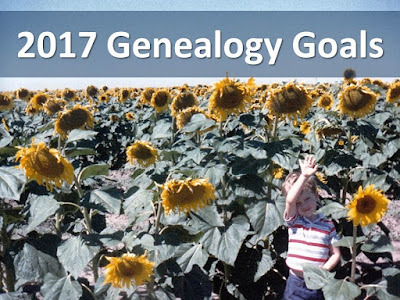 Every January I set goals to guide my genealogy research in the year ahead. I don't like to get too granular and only want broad goals to nudge my research along. After all, I want to remain open to the many surprises - sometimes serendipitous - that genealogy can offer. In 2017, mindful of my progress last year, I'm cutting myself a bit of slack and going light on the goal setting. Continue to collect and scan family photos from relatives near and far. Write narrative biographies of my ancestors, beginning with my great-grandparents. Join a local genealogical society and attend meetings. Oops! I accomplished only one of these. Last year, I did continue to collect and scan family photos. Did you see the most recent example in Family History Coded in Shorthand? In 2017, I still aspire to tackle all three of these goals. In 2016, I also set a handful of lofty goals to break through some of my brick walls. No, not one or two. Try four. I intended to break down four brick walls. How'd I do? I broke down none of them. Zero. They remain standing. Impenetrable and daunting. They loom over my research taunting me. No worries. I'm plotting my plan of attack in the shadows. 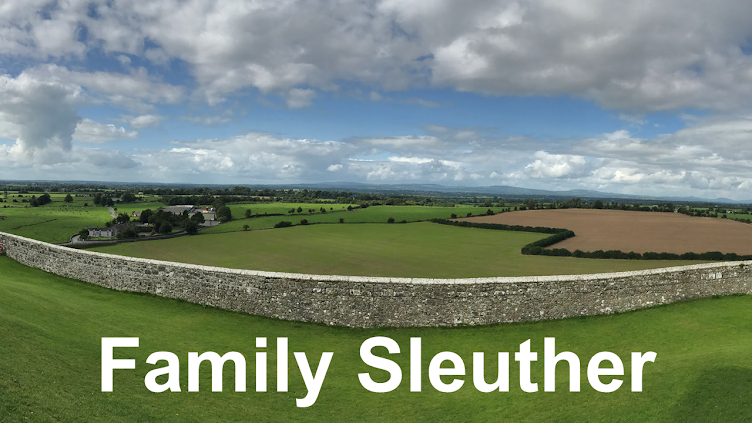 Where I did make significant progress in 2016 was in conducting an exhaustive investigation of my fifth great-grandfather Thomas Kirk. With a dozen blog posts written about the man and my efforts to learn the identity of his parents, I've uncovered a slew of information including the identity of a previously unknown daughter, mapped out property he owned, and tabulated the taxes he paid over several decades in the early 19th century. I'm exhausted, but his parents remain unknown and the hard work remains. In 2017, I'm open to letting my research go where the records, family lore or photos may take it. But I would like to focus on a few areas in particular. Locate Kirk ancestors overseas to Y-DNA test and, hopefully, link my paternal line to the Old Country. Collect autosomal DNA samples that will allow me to re-create, so to speak, the DNA of Thomas Kirk and Vachel Kirk of Butler County, Ohio - a contemporary of Thomas whose paternal relationship is confirmed by Y-DNA, but whose specific familial relationship remains unknown. Record more oral histories. I had quite a bit of success with this approach to storytelling in 2016, and want to document more stories. Write biographies for my ancestors. It's time to piece together all of the data I've culled and create a narrative that tells their stories in a compelling fashion. I believe this is how I will engage with the biggest non-genealogist audience. That's it. Those are the goals I'm setting for the year ahead. I think these are feasible. What do you think? Wish me luck and we'll check in and see how I did in twelve short months. DNA research is time intensive (tracking down ancestors, waiting for results, learning to interpret the data, and applying it to the genealogy). I'm looking forward to it! Likewise, I'm eager to pull my research together for the biographies. If I'm made a better researcher, that would be a happy outcome!